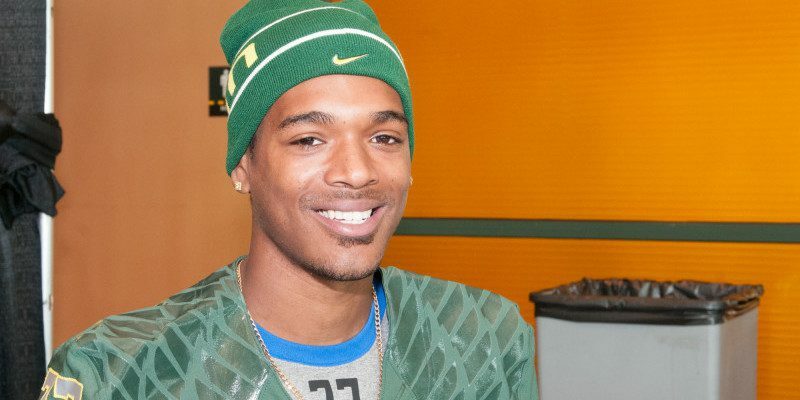 This offseason has provided a few storylines for Oregon Ducks fans to watch. With Marcus Mariota pressing for a No.1 pick in April’s NFL Draft, to Vernon Adams Jr. transferring from Eastern Washington, the drama has been plentiful. One of the tougher storylines to follow, however, is the amount of veteran players the Ducks lost this offseason. Yesterday, senior wide receiver B.J. Kelley made the decision to not return to the Ducks next season. The Ducks will also be without Chance Allen, Sam Kamp, and Andre Yruretagoyena, among others. Kelley, who is widely known as one of the best athletes on the Ducks roster, never quite saw his athleticism get put to use. In his career with the Ducks, he caught seven balls for 116 yards. Playing for the Ducks is a dream come true for many. Actually getting on the field is another story, as the Ducks have been stacked with offensive talent over the last few years. If Kelley chooses to transfer, he can play immediately. He has been in contact with smaller Division-1 schools, so as to keep his playing options open. Kelley is also a featured sprinter for the Oregon Track & Field team, so there are a few routes down which he could go. Whatever Kelley decides to do in his future, we here at FishDuck.com would like to wish him the best. Though Kelley did not have a massive impact on the team over the last few years, he sacrificed his all for this team, and for that, we will be forever grateful.